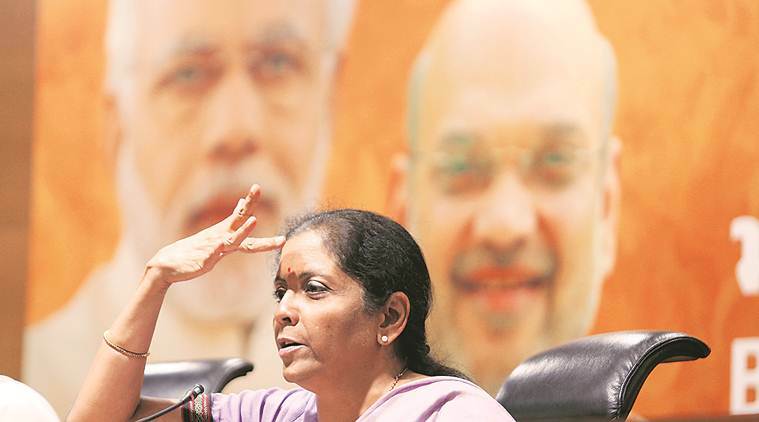 Claiming they had misled Parliament on the Rafale fighter jet deal issue, the Congress on Tuesday may move a breach of privilege motion against Prime Minister Narendra Modi and Defence Minister Nirmala Sitharama. The Congress alleged that Sitharaman’s statement in Lok Sabha that a secrecy pact between India and France was preventing the government from sharing the cost of each Rafale aircraft was “totally wrong”. The 2008 pact between the two countries on the protection of classified information and material in the field of defence does not mention that commercial cost of procurement cannot be revealed, the Congress claimed. Congress leader in Lok Sabha Mallikarjun Kharge said the party was consulting legal experts on whether to give notice against both the Prime Minister and the Defence Minister or only the latter. What is a privilege motion? Who can move it? How? Parliamentary privileges are certain rights and immunities enjoyed by members of Parliament, individually and collectively, so that they can “effectively discharge their functions”. When any of these rights and immunities are disregarded, the offence is called a breach of privilege and is punishable under law of Parliament. A notice is moved in the form of a motion by any member of either House against those being held guilty of breach of privilege. Each House also claims the right to punish as contempt actions which, while not breach of any specific privilege, are offences against its authority and dignity. What percentage of privilege notices are rejected? A large number of notices are rejected, with penal action recommended in only a few. The most significant case was in 1978 when Indira Gandhi, who had just won the Lok Sabha elections from Chikmaglur, was expelled from the House. Then home minister Charan Singh moved a resolution of breach of privilege against her following observations made by the Justice Shah Commission which probed excesses during the Emergency. Another case was expulsion of Subramanian Swamy from the Rajya Sabha in 1976. Swamy was charged with bringing disrepute to Parliament by his activities through interviews in foreign publications that were construed as anti-India propaganda. In another instance, Blitz editor R K Karanjia was held guilty of gross breach of privilege of the House in 1961. Blitz had published an article that lampooned veteran leader J B Kripalani. He was summoned to the bar of the Lok Sabha and reprimanded, while the Lok Sabha gallery pass of his correspondent, R K Raghavan, was cancelled. On December 23, 2005, 11 “tainted” MPs, who were caught in a sting over the cash for query scandal, were expelled from the House. In the Lok Sabha, the Speaker nominates a committee of privileges consisting of 15 members as per respective party strengths. A report is then presented to the House for its consideration. The Speaker may permit a half-hour debate while considering the report. The Speaker may then pass final orders or direct that the report be tabled before the House. A resolution may then be moved relating to the breach of privilege that has to be unanimously passed. Currently, Congress member P C Chacko is the chairperson of the privileges committee. In the Rajya Sabha, the deputy chairperson heads the committee of privileges, that consists of 10 members. 1 New Rs 100 note to sport motif of 'Rani ki vav'. What is it? 2 What is a no-confidence motion?